We believe in the power of design to improve people's lives. 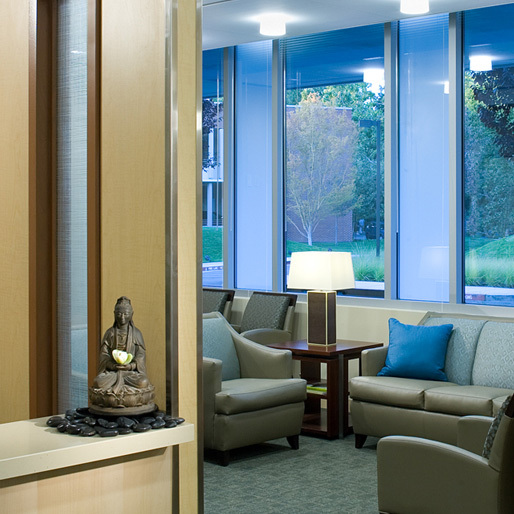 Creating places that elevate the spirit, cultivate comfort and care, and minimize environmental stress, our work promotes well-being and productivity. With a focus on those who will use the environments we design, our approach defines a clear hierarchy of spaces, pathways for movement and energy, and a balance between nature and technology that improves the human experience. Inspired by the responsibility to help our clients achieve success in their own terms, we translate their broad business goals and aspirations into insightful, appropriate design solutions. The results are spaces in which the whole is truly greater than the sum of its parts — thoughtful, meaningful, and purposeful places for people.